The Holley model 4000 four barrel carburetor that came as original equipment on single four barrel equipped 1956 and earlier Fords, Mercurys, and Lincolns is not up to its full potential when used with the ’57 and up Y-Block distributors. Just so we are all on the same page, these carbs are more commonly known as Teapots or Haystacks. The problem with the late model distributor incompatibility originates in the Teapot’s internal circuitry that provides the vacuum signal to the distributor. These carbs were originally designed to be used with the ’56 and earlier Load-O-Matic distributors and have a unique vacuum signal to work the vacuum only ignition advance distributors. The oem or factory designed signal for the distributor combines both a venturi and staged vacuum source at the carburetor which is controlled to a large degree by a spark advance valve located on the side of the carburetor. It is the venturi assisted part of the vacuum signal that makes this particular signal inappropriate for use with the later model distributors that use both centrifugal and vacuum advance features. The venturi assisted part of the signal within the carb is also tied to the secondary diaphragm circuitry which makes for a very complicated carb circuit in its stock form. This also means if the distributor’s vacuum advance chamber or the line connecting the carb to the distributor vacuum advance chamber is leaking, the carburetor’s secondary circuit is likely not opening when it should if it does at all. So what’s all the fuss about? 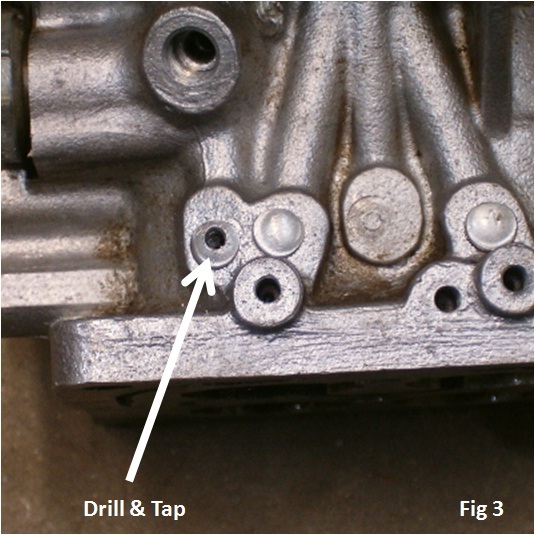 If a Teapot carb is being used with a mechanical advance only distributor or the vacuum can is not being used on a ’57 and up distributor, then the distributor port at the front of the carb is simply plugged and all is well. Ignition timing in this instance simply relies solely on the mechanical advance within the distributor. Assuming the mechanical advance curve is adequate then the Teapot carb runs just fine with the plugged distributor port at the carburetor. But….If that vacuum port is hooked up to the ’57 and newer distributor’s vacuum chamber, then the potential is there for excessive ignition advance when the throttle is opened to any degree beyond just the cruising position. That could prove detrimental to the engine in the form of detonation or pre-ignition depending upon temperature, fuel octane, compression ratio, and a variety of other factors. With all that being said, the Holley Teapot carbs can be successfully modified so that the vacuum advance signal is converted to a fully staged or ported signal that is fully compatible with the ’57 and newer Y-Block distributors. 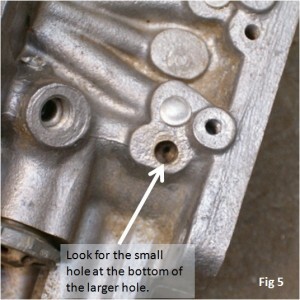 The essence of making this happen is installing a new vacuum port or hose connection below the existing distributor port on the carburetor and then blocking that original distributor port. While I did make that sound quite simple, in reality it’s almost that easy. 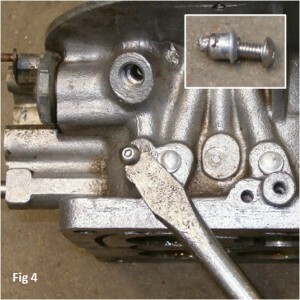 With the carburetor upside down, locate the small brass slotted screw on the underside of the carb. This screw seals up the passageway that aligns with the passageway that intersects with the original distributor vacuum port opening. When removed, you’ll see that the screw (Fig 1) will have a long stem on it which we will discuss again later. Now with the front side of the carb facing you, locate the pressed in aluminum plug that aligns with the same passageway that the long stemmed screw plug was removed from. 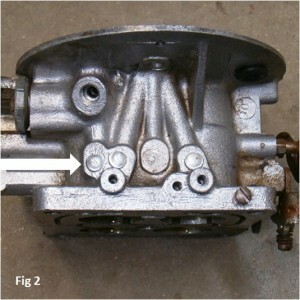 Looking at the front of the carb, you’ll see three aluminum plugs all in a horizontal line roughly about 1” up from the base of the carb. For the next part in this exercise, you will be working on the plug that’s to the far left of all of them (Fig 2). Remove the plug. Drilling a small hole and then tapping for a 10-32 thread (Fig 3) will allow a screw to be inserted and by using a screw driver under the head of the screw, the aluminum plug can simply be pried out of the hole (Fig 4). Once the plug is removed, a nice ¼” diameter hole will be staring back at you. If you peer into the hole, you’ll see a much smaller hole that goes into the throttle bore just above the throttle blades. This is where the ported or staged vacuum signal originates (Fig 5). At this point, a piece of ¼” O.D. tube is required. While ¼” O.D. steel brake line is suitable, I’ve also found that the aluminum fuel transfer tubes on the 600 cfm Holleys with the flat bowls works well for this also. Regardless of what you use for the tubing, you’ll need a piece that is 1¼” or 1½” long or long enough to attach the rubber line that goes to the distributor to attach to once the tube is inserted in the ¼” hole. 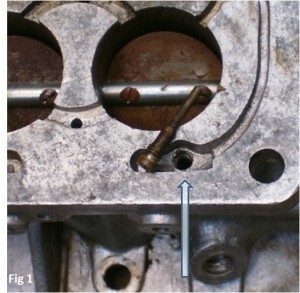 With that said, drive that piece of ¼” tubing into the newly exposed hole in the front of the carb until it bottoms out (Fig 6). Once bottomed out, the drilled channel above and below this inserted tube will be effectively blocked. Now we are back to that long stem slotted screw that was removed earlier. At this point, the stem is too long to allow the screw to be reinstalled back in its original hole with the freshly inserted tube now in place. 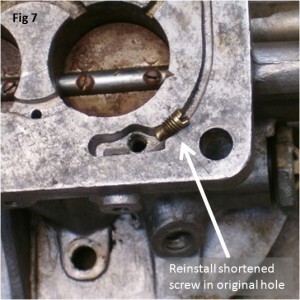 Cut off the stem portion of the screw and reinstall it back in its original hole (Fig 7). While the new ¼” O.D. tube that was installed should have effectively blocked off this hole, reinstalling the bottom screw is simply a safety measure to insure there is no direct vacuum signal making its way back to the ported vacuum signal. While not absolutely necessary, removing the spark advance valve (Fig 8) on the side of the carb and replacing it with a power valve block off plug will also insure that the vacuum secondaries are getting a full vacuum signal. 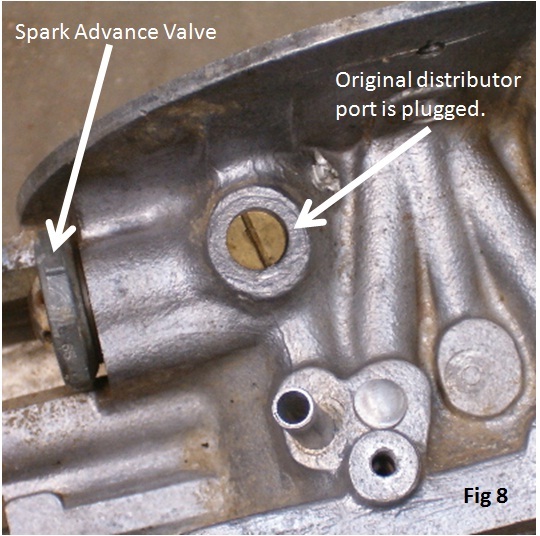 A leaking diaphragm in the spark advance valve at this point will keep the secondaries from operating correctly. 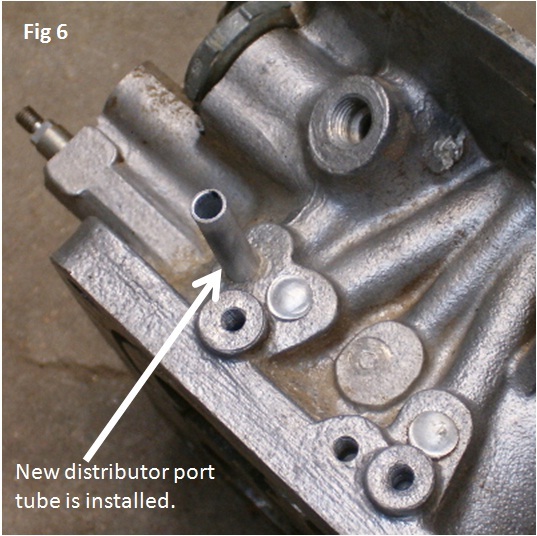 Be sure to also install a plug (3/8X24 thread) in the carb’s original distributor vacuum port as that port ties directly to the secondary activation circuit (Fig 8). If it’s left open, the secondaries will not open as they should if at all. Once the carb is reinstalled on the engine, simply hook a hose at the new port on the carb and connect the other end of the hose to the vacuum advance chamber at the distributor. With a timing light hooked up and with the engine running and idling, there should be no timing change with the hose either hooked or unhooked. With the hose hooked up and with a slight increase in rpms, you should see a significant increase in ignition timing as compared to timing readings at the same rpms and the hose unhooked. At this point you are done and ready to take a test drive.